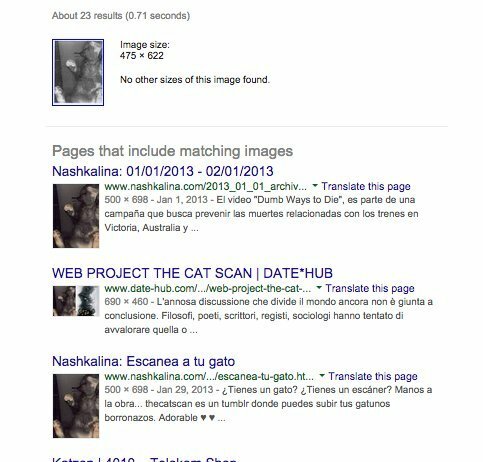 UPDATE: Images of photocopied cats have been popping up around a University of Wisconsin-Madison library, but the felines in the pictures were almost certainly not photocopied there. The photo published in the Badger Herald was not originally taken at Steenbock Library, according to Natasha Veeser, Head of Communications at UW-Madison Libraries. She says the photo is at least four years old. However, Veeser told HuffPost, the Badger Herald staff member did indeed find the photo at Steenbock earlier this week. 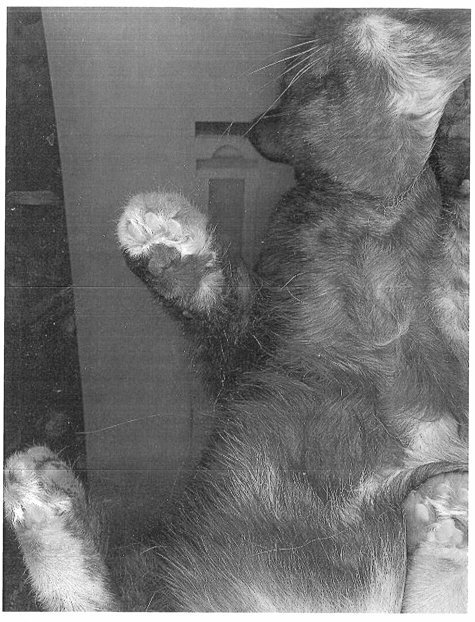 The picture is one of many photocopied cat images that have been spotted around the library recently, she said. Another image, which was emailed to HuffPost by a different Steenbock employee, is as old as at least 2013 and was likely not taken at Steenbock, based on a reverse Google image search. The case of the mysterious cat scan has staff baffled at a University of Wisconsin library. Multiple images of a photocopied cat have been popping up around Steenbock Memorial Library, the institution's library of agriculture and life sciences, veterinary medicine and human ecology. “We don't really know what the situation is,” a Steenbock employee, who wished to remain anonymous, told The Huffington Post. It's apparent that the image was made at the library because of the light fixture in the photo, the staff member said. It’s unclear whether the student was referring to photocopies or an actual cat in the flesh. “They could have seen a cat, could have heard a cat, could have seen a picture,” the staff member said. Barry Kellogg, senior veterinary advisor for The Humane Society Veterinary Medical Association, told HuffPost there are probably no long-term ill health effects of photocopying a cat, but that the cat probably doesn't enjoy the process all that much. "There are no known real risks to this," Kellogg said in an email. "There may be some discomfort to the eyes because of the bright light, but that is temporary only. There’s no real worry from a health point of view." Kellogg also noted that restraining the cat, or attempting to partially close the photocopier lid, could be stressful for the feline. CORRECTION: A previous version of this article stated that ASPCA veterinarians said that the flashing light from a photocopier could damage a cat's eyes. ASPCA veterinarians actually stated they were unsure if the light would cause harm or not, and that only a veterinary ophthalmologist could say for sure.